You are here: Home / Events / Germanna Reunion Registration is Open! Plan your Own Expedition of Discovery to the Germanna Reunion and Conference July 14-17. Join with Germanna descendants and others from around the country, even the world. 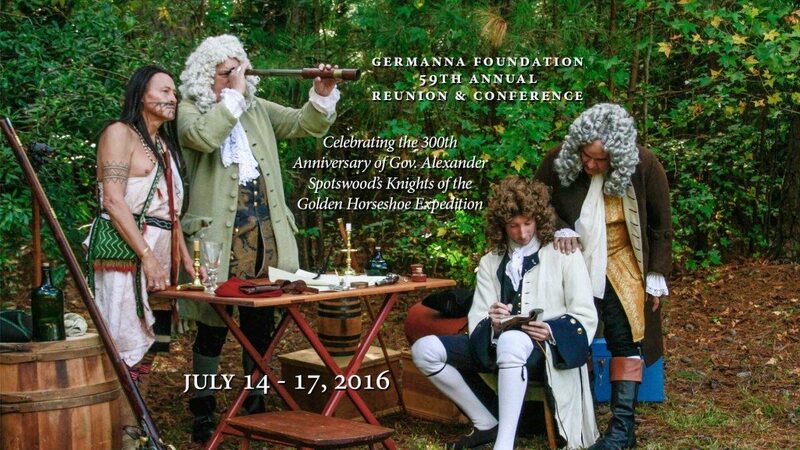 Celebrate the 300th anniversary of Alexander Spotswood’s Knights of the Golden Horseshoe Expedition at the Germanna Reunion and Conference. Click here for details, including the schedule of events, pricing, accommodations, and online registration information. This is a reunion you will want to attend!